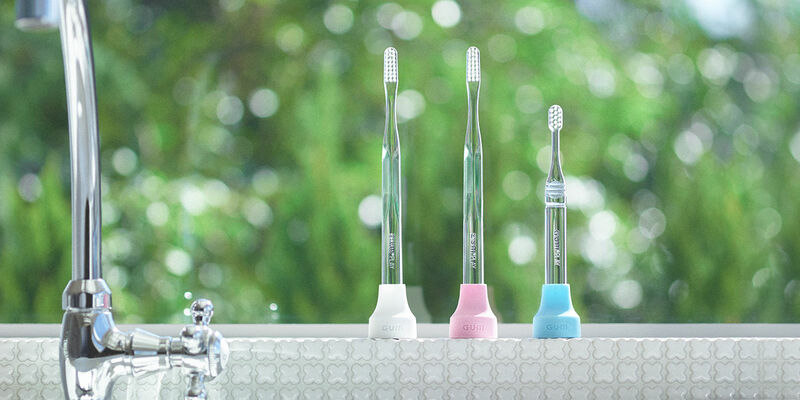 12/5: Automated reordering of toothbrush sets now available via Amazon Dash Replenishment. and brush your teeth as usual. One device may be shared by one family. ※iPhone, iPad, iPad Plus, iPad Air and iPad mini are trademarks owned by Apple Inc.
that are registered in the U.S. and other countries. 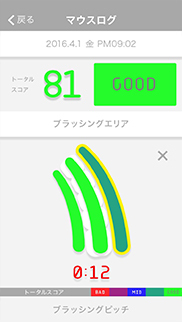 ※App Store is a service mark owned by Apple Inc.
※Android, Google, Google Play, Nexus are trademarks owned by Google Inc.
※Galaxy is a registered trademark owned by Samsung Electronics Co., Ltd.
※Xperia is a registered trademark owned by Sony Mobile Communications AB. 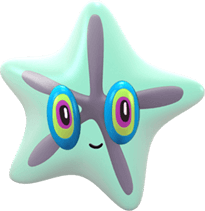 ※AQUOS is a registered trademark owned by SHARP CORPORATION. ※Bluetooth® word mark and logo belong to Bluetooth SIG, Inc., and are being used by Sunstar Inc. under license. ※Apple, and the Apple logo are trademarks of Apple Inc., registered in the U.S. and other countries. 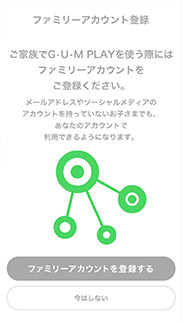 App Store is a service mark owned by Apple Inc.
※Android, Google Play™, and the Google Play™ logo are trademarks of Google Inc.
connecting it to the app. logs are displayed in gray. 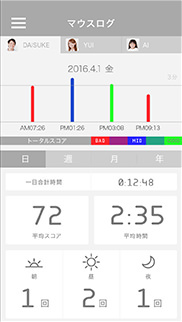 ・The maximum amount of logs that can be saved is 21 times (3 times a day x 7 days). 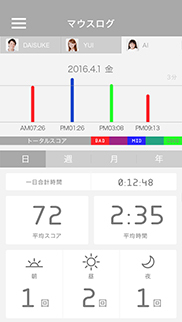 ・The maximum duration that can be saved in the device is 12 minutes. 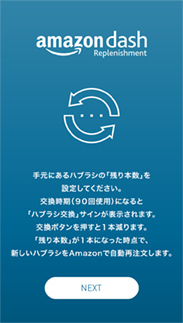 ・This function does not apply to family accounts. 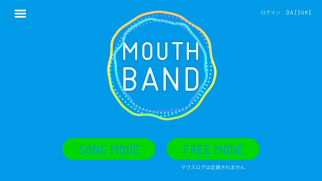 ・Attachment Log is available only for MOUTH STATUS. 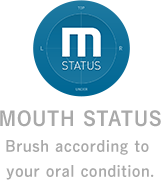 MOUTH STATUS compares your brushing style with that of dental hygienists in real-time. 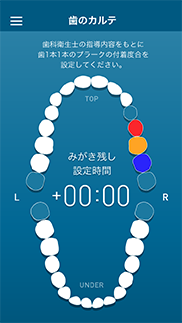 It scores how each tooth is brushed, and gives you advice on how to brush more effectively. 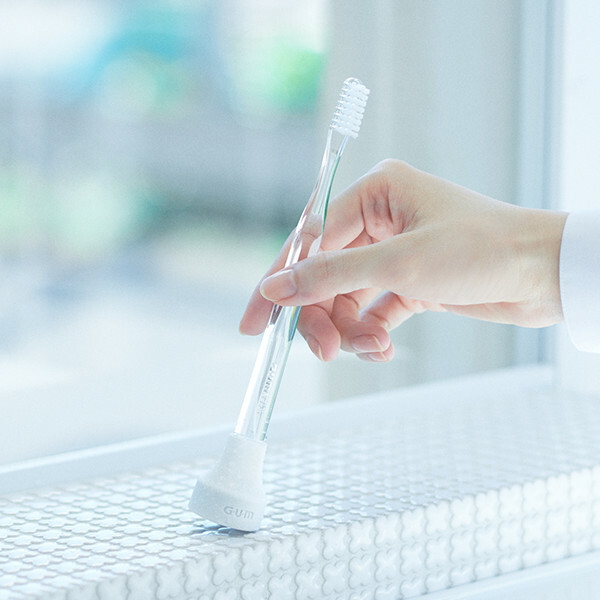 Follow the guidance of dental hygienists and mark the areas with plaque buildup to set a brushing duration suited to your teeth. 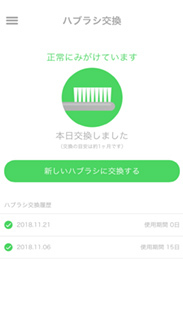 Also, even without connecting to the app, you can record your brushing data simply by attaching the device to your toothbrush and brushing your teeth. 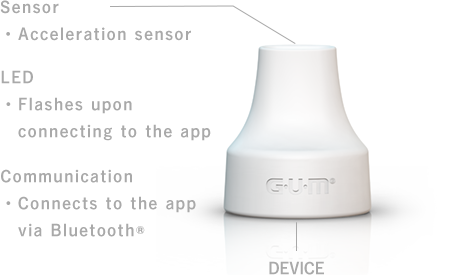 Based on information such as guidance* of dental hygienists, you can record the extent of plaque buildup on each teeth. *Please receive a check-up at a clinic to ensure the accuracy of your record. 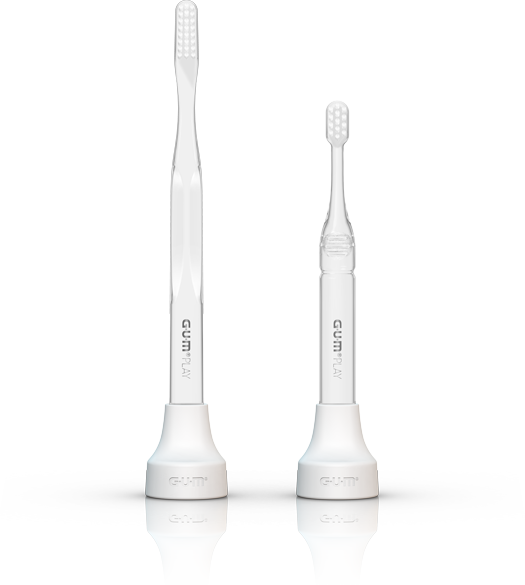 Plaque buildup and other insufficient brushing can be displayed in 4 levels. 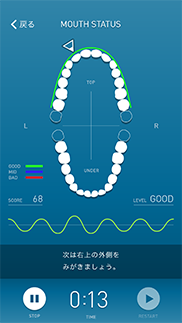 According to the levels you set for your teeth, “extra brushing time” is added. 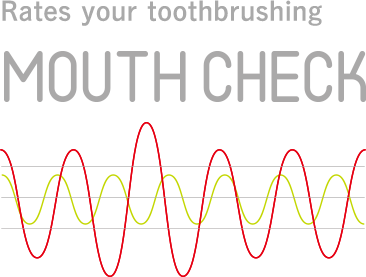 You can also mark areas undergoing treatment or with tooth loss, as well as your wisdom teeth, to reflect the actual number of teeth. 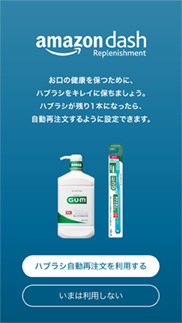 the effectiveness and thoroughness of brushing. when you have just one new toothbrush left. brushing three times a day. *This function is available only on the MOUTH STATUS app. *This function does not apply to family accounts. *The brushings on all G•U•M PLAY apps will be counted. 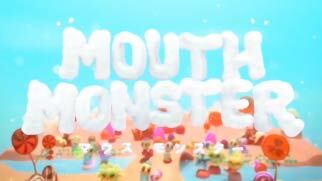 *To use this service, activating MOUTH STATUS once a month is required. Set the number of the remaining toothbrushes you have. 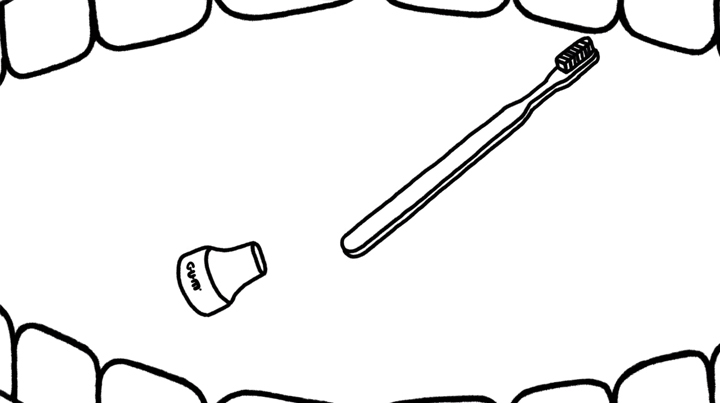 the “Replace Toothbrush” notification will be sent. the number of toothbrushes will decrease by one. 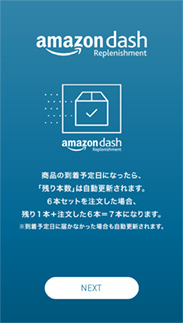 a reorder will be automatically placed on Amazon. 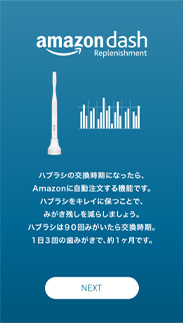 the number of toothbrushes remaining will be updated automatically. ordered: 1 remaining + 6 reordered = 7 toothbrushes. The brushings on all G•U•M PLAY apps will be counted. brushings done when not connected to the app. 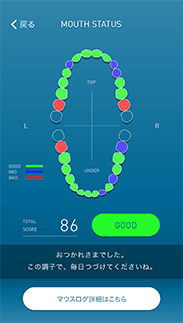 of oral hygienists to rate your accuracy. 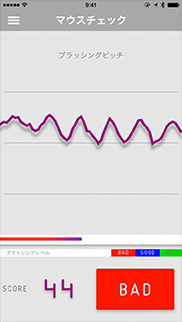 the style and duration of your toothbrushing. 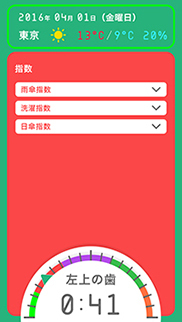 which you can tap on for more details. 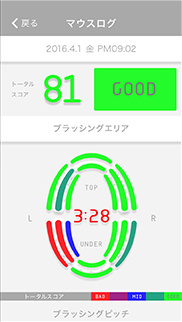 Scores and colors indicate the quality of brushing. and accurately brush all 16 areas of your mouth. into big fans of brushing. 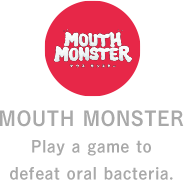 toothbrushing becomes as fun as playing a game. time varies from morning, day, and night. 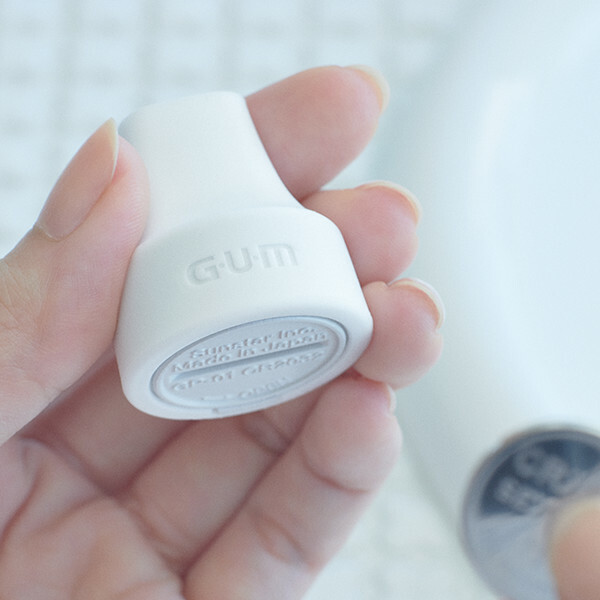 to keep each brushing experience fresh. 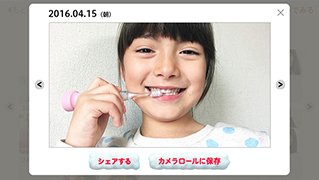 children will keep up with brushing. may set break time for 30-minute intervals. when children are brushing too hard. Select a mode and an instrument, and brush as usual. 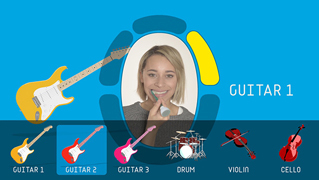 It is also possible to brush to your own favorite tunes! 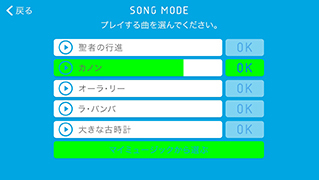 the more properly you can play the songs. smartphone and brush to your favorite tunes. “cello,” “violin,” or “drum set” for you to play freely. 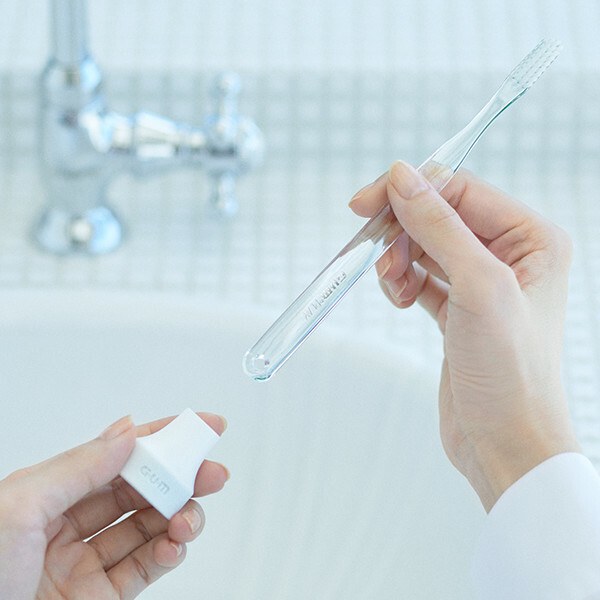 of audio news while you brush. and save articles to read later during commute. 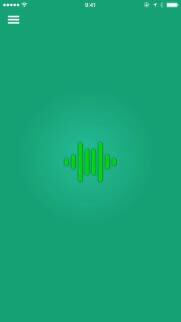 Make the most of busy mornings with this app. are updated morning, day, and night. get ready to leave for the day. 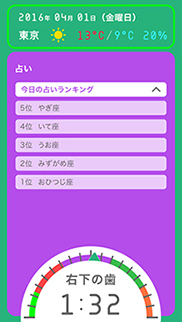 It is also possible to add your own items. find out about your daily horoscope. will bring you more good luck? Keep your home as clean as your mouth. The G·U·M PLAY rubber covers (sold separately) come in a total of five colors. Dress up your own G·U·M PLAY just the way you like. They are also helpful when each family member uses separate devices. 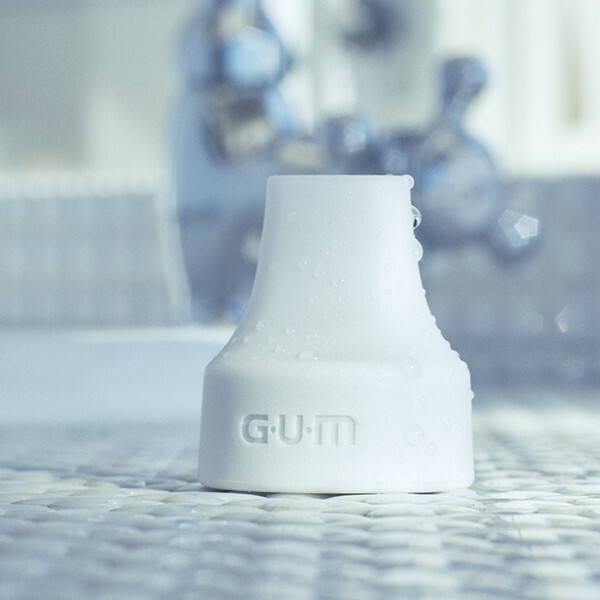 Keep clean by detaching the rubber cap from the device to wash or replace. 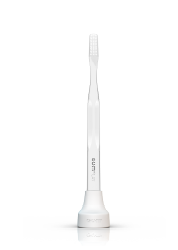 Making your everyday toothbrushing better and more fun. 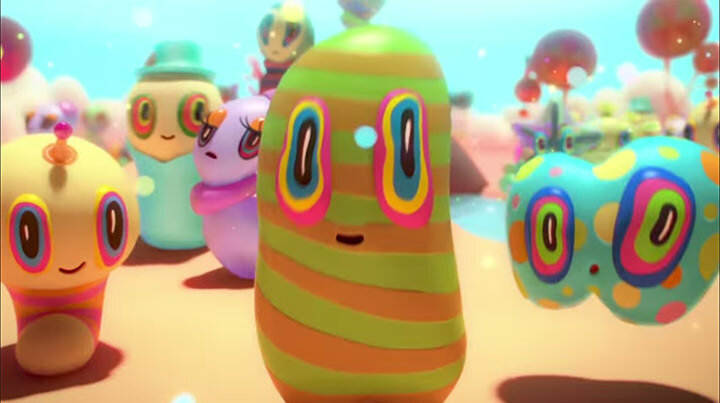 This might just make your life better and more fun. 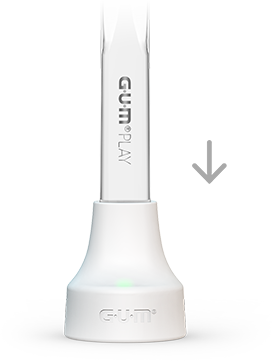 periodontal disease meets advanced technology. Experience this innovation for yourself. 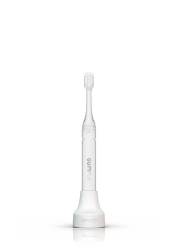 2018/12/05Automated reordering of toothbrush sets now available via Amazon Dash Replenishment. 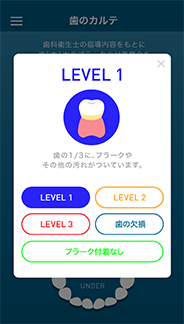 2018/01/31New G•U•M PLAY app “MOUTH STATUS” launches. 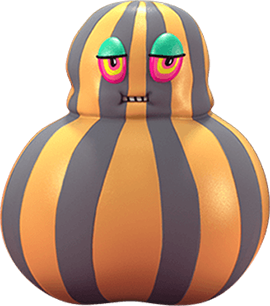 2016/11/10Two of the G•U•M PLAY apps (MOUTH BAND, MOUTH MONSTER) now available in English and Chinese (Simplified). 2016/09/29G•U•M PLAY wins Good Design Award 2016. 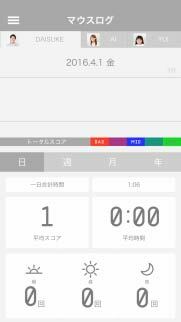 2016/07/27G•U•M PLAY named "Best Innovation" at CODE AWARD 2016. 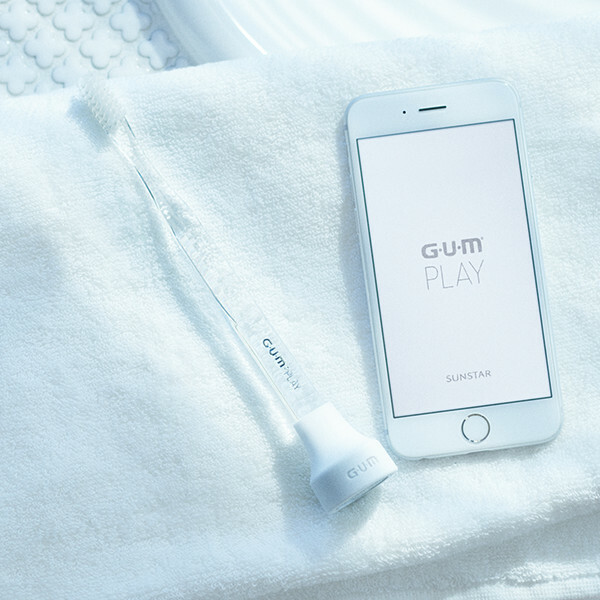 2016/06/29G•U•M PLAY now available at dental clinics. 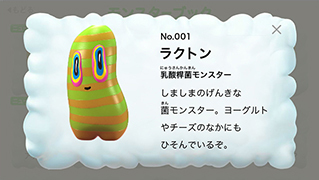 2016/04/11G•U•M PLAYfeatured on over 150 TV programs and news websites, including TV TOKYO "WORLD BUSINESS SATELLITE." 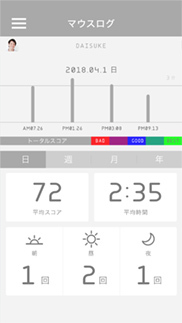 2016/04/05G•U•M PLAY selected by the Webby Awards as the only nominee from Japan in the top five for "Mobile Sites & Apps: Connected Products & Wearables."